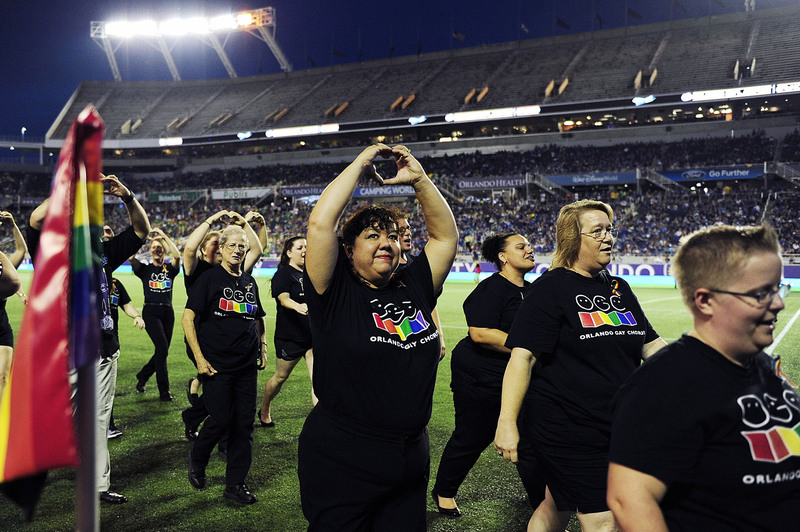 Members of the Orlando Gay Chorus, leave the field after singing at halftime Saturday, June 18, 2016 at Camping World Stadium in Orlando. Orlando faced San Jose during an MLS soccer game. The city and nation is still feeling the effects of the June 12 mass shooting in an Orlando nightclub â Pulse. The teams tied 2-2.